Cold weather is just around the corner and, while it may be time to pack up the gardening tools and put the garden to bed, the work and attention outdoors is not done. Like humans, pests need food, warmth and shelter to survive, which means as temperatures drop, insects, rodents and other pests may try to sneak inside. Being aware about inviting conditions and being vigilant are the best ways to keep them out. Learn about the most common fall trespassers and how to help prevent their invasion. While rodents are known to do a lot of damage in a garden – feeding on fruits, vegetables and plant roots – it’s nothing compared to the damage they can cause indoors. 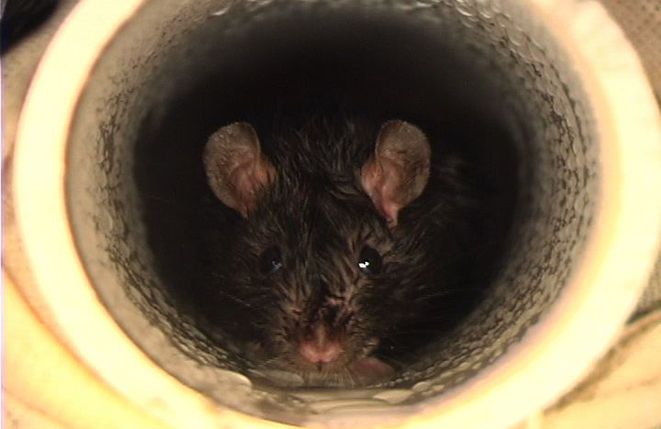 Each fall, rats and mice invade an estimated 21 million American homes. It only takes a hole the size of a quarter for a rat to squeeze inside, and a hole the size of a dime for mice. Rodents are also known to chew around holes to make them larger, after which they can slip inside. Rodents are more than just a nuisance. Rodents pose severe health threats. They can carry hundreds of pathogens that spread through their urine, droppings and bites. They are very secretive and may not be seen by humans if an infestation is small. Signs of a rodent invasion include chew marks, nests in dark areas near a food source or sounds of gnawing or scratching, especially at night. To help prevent these invaders, spend some time outdoors this fall. Inspect the home for entryways, seal cracks on exterior walls and close gaps around utility pipes and under doors and rooflines. Three of the most common cold-weather invaders are lady bugs, box elder bugs and stink bugs. All of them head indoors looking for warmth, and they can sneak inside through tiny cracks. While they do not pose any known risks of disease transmission, they are a nuisance, have been linked to causing respiratory issues and can attract other fall invaders – spiders. To keep them out, spend some time outdoors inspecting the yard and home even when the gardening is done. Keep the house as “tight” as possible – sealing any cracks and crevices, especially holes in brick, gaps underneath siding or around the roof line. While these pests are all looking for the same thing – warmth and protection – they have their own distinct traits. Lady bugs favor light-colored homes, especially free-standing structures that are isolated (as opposed to close to their neighbors). Box elder bugs are black with red lines along their thorax and often hide in cracks and gaps inside the home. 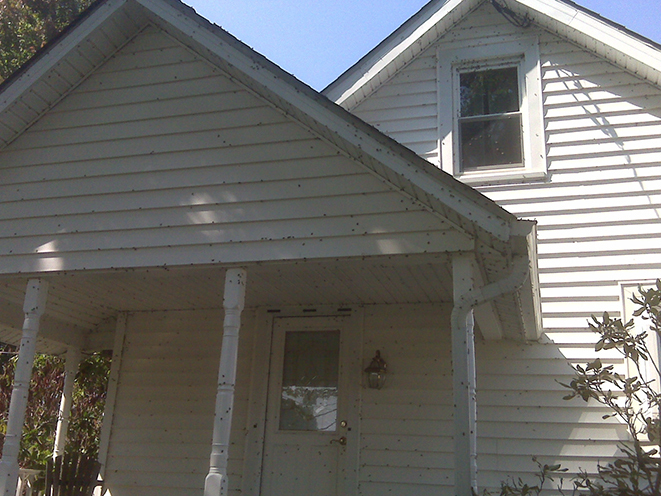 Stink bugs often spend the fall and winter inside the attic, walls or crawl spaces. Their name describes them best; if they feel threatened, they can produce a very unpleasant odor. While most fall-invading insects sneak indoors for the warmth, spiders may sneak inside for another reason -- to prey on other insects. They commonly enter the home in two ways: through open, poorly screened windows and doors and through cracks and gaps around door and window frames. They hide in places with moisture, including basements and crawl spaces. 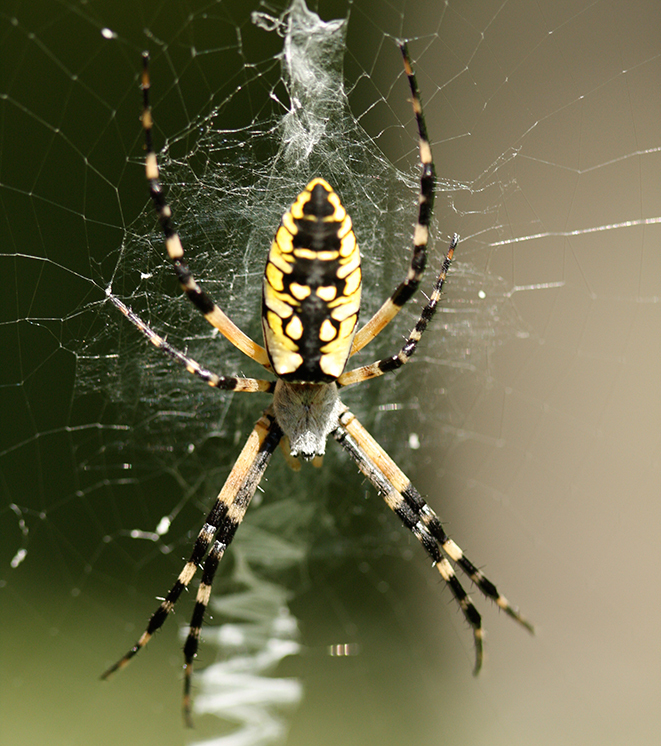 Other spider species – like the garden spider – can become a problem in the fall that isn’t visible until spring. They lay their eggs (between 50 and several hundred) in silken sacs in the autumn. In the spring, they hatch and disperse. If the eggs hatch near cracks or other entryways to the home, they could become an indoor nuisance, too. The best way to help prevent spiders is to eliminate their food source. Spiders catch their food in two different ways: they hunt or catch prey in webs, usually around doors, windows and lights. Since they eat insects that crawl and fly, inspect the outside of the home for insect entryways, including cracks and crevices. Use the end of gardening season to check exterior doors to make sure they close properly and to replace any missing screens or weather-stripping. Tightly seal any cracks or gaps in the foundation so that the pests can’t get in. Any tiny openings around utility pipes should be sealed with caulk. Install wire mesh behind dryer vents and around any other opening. Eliminate and minimize any food sources by putting food in hard plastic containers that have tight fitting lids. Keep produce like bananas, tomatoes and cantaloupe in the refrigerator. Clean up any spills quickly and thoroughly. Firewood, mulch and other garden debris can all create an attractive home for pests. Store firewood away from the home and off the ground, and ensure that mulch is several inches from the foundation. Keep an eye out on the plumbing system. Cracked and dripping pipes are attractants for pests because of the moisture. For more information on preventing fall invaders, visit Orkin.com.